Conquering the streets with style and luxury. 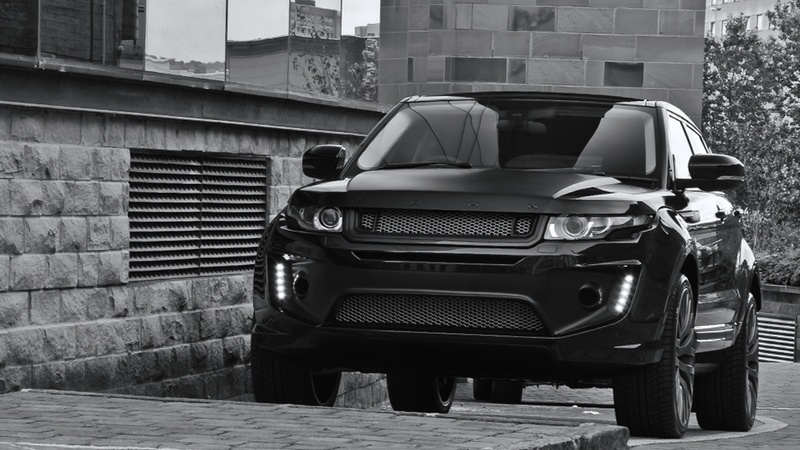 The Range Rover Evoque has undergone a few different transformations from A Kahn Design since it was first unveiled. Now the new luxury crossover is getting the Black Label treatment from the British company and it has a whole new attitude. The new Range Rover Evoque Black Label Edition (RS250) wears a full range of exterior styling upgrades and is covered in a slick Santorini Black Metallic paint that gives it a more dramatic appearance. The front fascia was given a new matte black center bumper section, a grille with 3-D mesh, bumper mesh in matte black and silver, and integrated LED daytime running lights. Gloss black side sill trims run the length of the crossover and are contrasted by copper side vent inserts. The finishing touch is a painted floating roof. 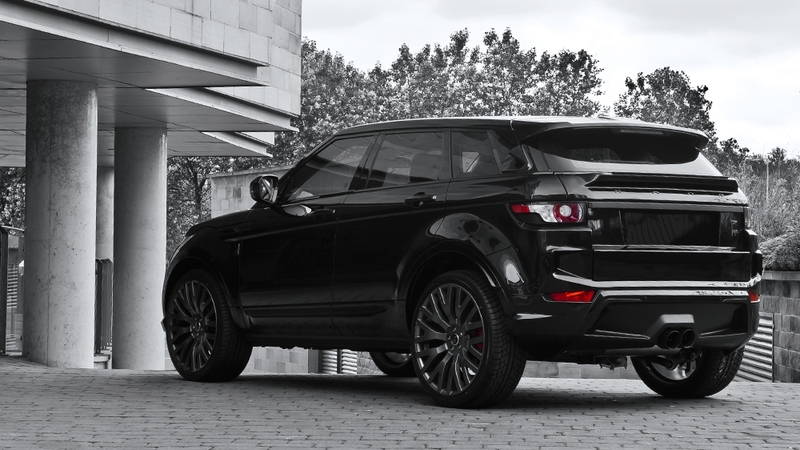 A Kahn Design took steps to ensure that the new Evoque Black Label Edition offered drivers better dynamics on the street. To achieve this, they installed a new set of 9.5 x 22 RS wheels with a matte pearl finish that improve grip and hide a set of Vesuvius Orange brake calipers. A stainless steel cross-hair exhaust system gives the crossover a more menacing presence on the road. 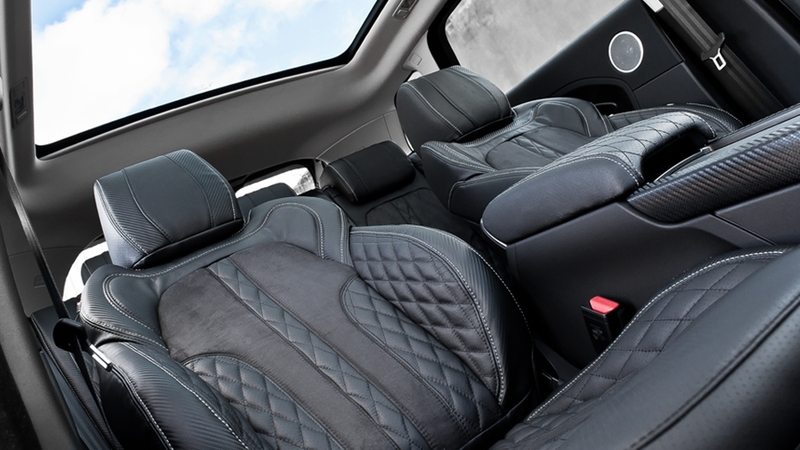 Inside the Evoque Black Label Edition, the cabin is…black (for the most part). 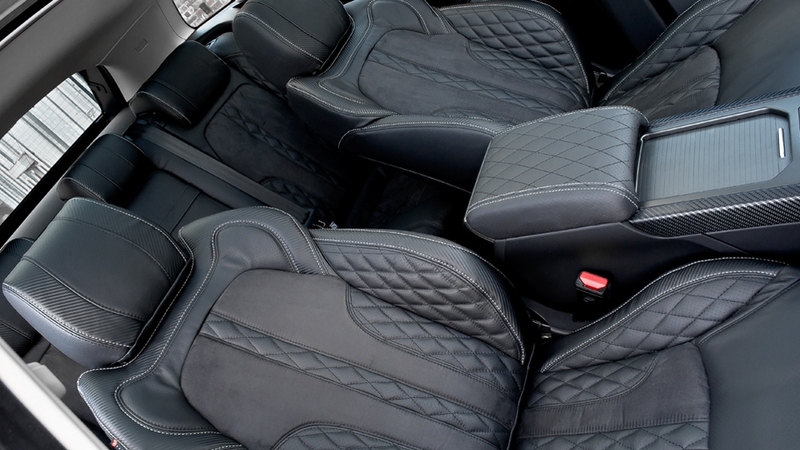 Quilted and perforated black leather adorns the front and rear seats with contrast stitching along with the glove box, four door armrests, and aspects of the dashboard. Vented foot pedals in machined aluminum and stainless steel door entry sill plates along with new high-quality carpet floor mats decorate the bottom of the crossover. A diamond gear selector completes the interior transformation. 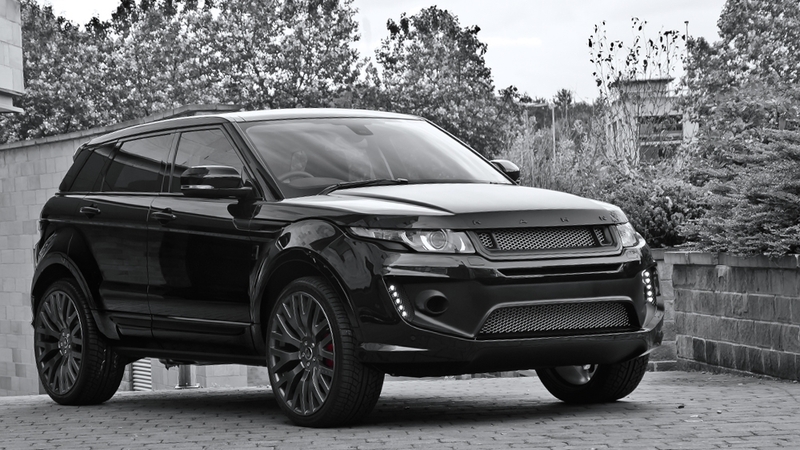 The new Range Rover Evoque Black Label Edition by A Kahn Design is currently available along with all of the featured products from the British company. 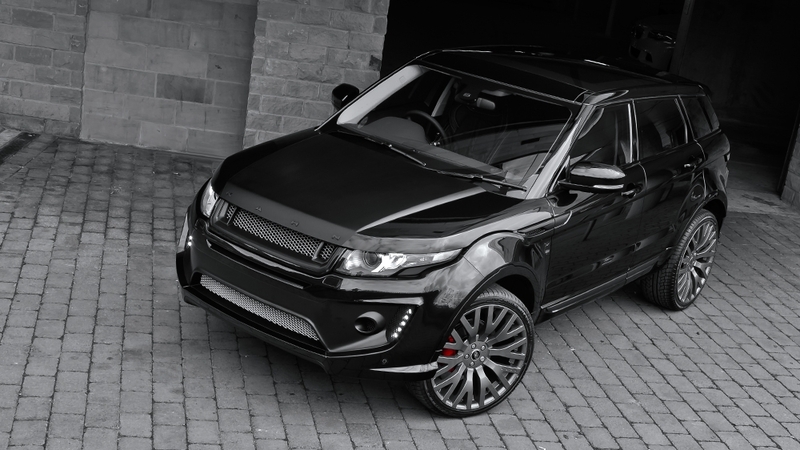 Do you like the new look of the Black Label Edition Range Rover Evoque by A Kahn Design?